You have already installed weatherstripping on your doors, only to find that it peeled away or degraded after a few weeks of use. That's because the "easy" peel-and-stick products are usually made of a cheap foam that doesn't hold up to regular use. The product we use costs a few dollars more, but it's worth it! It's a heavier silicon "rubber" gasket that can really hold a seal. While we're at it, we usually also add a rubber "door sweep" to prevent drafts from coming under the bottom of the door. You can't have a warm house until you stop all of the drafts. 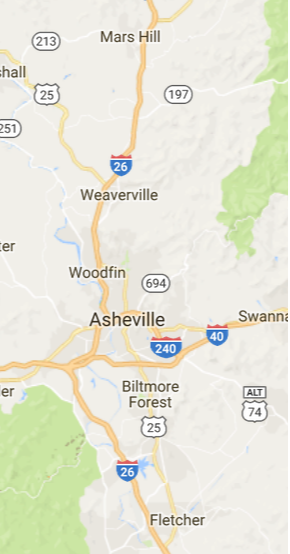 If you live in Asheville or Weaverville and you're ready to spend your next winter in a cozy home, please contact us to schedule an appointment. You'll be glad you did! Weatherstripping is an add-on service. Due to our minimum service charge, we recommend bundling these small projects with other repairs in order to get the best value. Keep out Old Man Winter!